The SimplyWorks® Smooth Talker with a modern and stylish design, is the most versatile single and sequential message communicator on the market. The SimplyWorks® Smooth Talker has 2 minutes of recording time, superior digital sound quality from twin speakers and a low switch profile angled towards the user for easy activation. 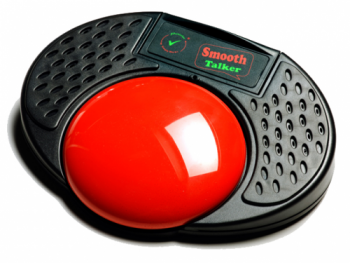 SimplyWorks® Smooth Talker is unique in providingRandom, Choice, Auditory Prompt, and Converse messaging modes; and is the only Communicator with both wired and completely wireless connectivity. For positive reinforcement and additional motivation, toys or appliances can be attached and a message assigned to activate the toy/appliance. 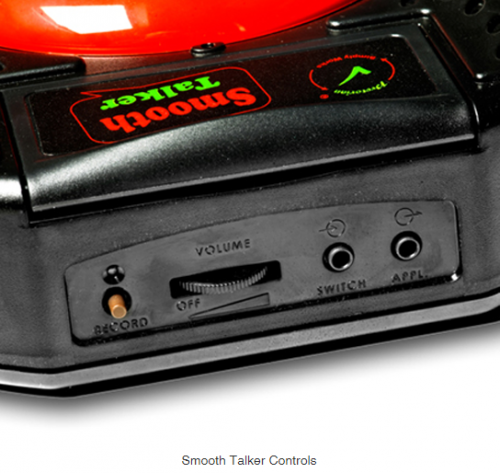 The SimplyWorks® Smooth Talker is the only communicator with both wired and wireless connectivity options for toys and appliances and, uniquely, can activate two toys/appliances simultaneously. 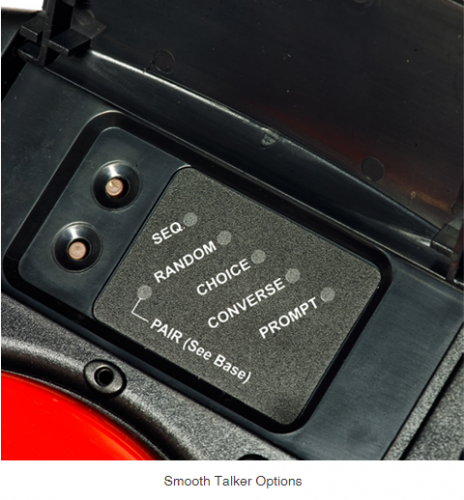 Smooth Talker has also been designed with a choice of four colour options. SKU: ST75 - Smooth Talker "5 Pack"